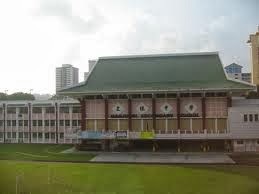 Manjusri Secondary School is located at 20, Ubi Avenue 1 in Singapore 408940. It is enclosed within the Ubi Region. Ubi estate is a town that is situated at the east-central section of Singapore. The area is formerly known as Kampong Ubi. It is bounded by Airport Road in the North, Paya Lebar Road on the west, Pan-Island Expressway in the south and Eunos Link on the East. Nearest MRT is Eunos MRT and the closest bus interchange is Eunos Bus Interchange. Amenities in the area include Geylang Serai Malay Village, Joo Chiat Complex and Kembangan Plaza. Some of the schools close by are Maha Bodhi School, Eunos Primary School and Telok Kurau Primary School.